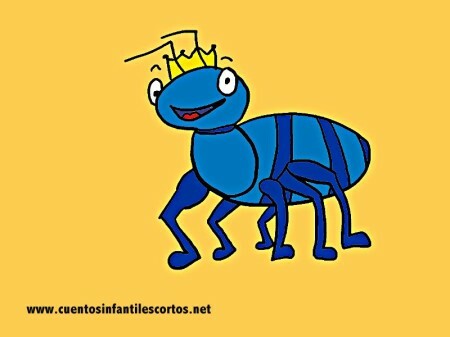 When one of the blue beetles went missing, the three camels became very slow, but when all three blue beetles walked with them, the Three Wise Kings camels were as fast as lightening. The legend says that one year one of the three beetles was sick and, as you know, if one of the three blue beetles is missing, the three camels are very slow. That year, the Three Wise Kings became very worried about the children. They tried to make a plan to deliver the gifts on time, but after thinking about it, they couldn´t find a solution, so they decided to make their journey with only two camels. The Three Wise Kings realised that the little beetle was right, All children had to receive their presents. So, that year, Santa Claus helped the Three Wise Kings to deliver their gifts, and all the girls and boys in the world received a present. The moral of the story: Never give up!